Stone certainly turned out to be a trusty building tool – just think of wondrous structures such as the Great Pyramid of Giza and England’s Stonehenge that have been lasting for centuries. But even though it’s a tried-and-tested building material that’s used in everything from office buildings to houses, stone is not the easiest option to work with. Stone is heavy, hard to move, and usually comes in giant chunks, making it difficult to cut to shape. Fortunately, great inventors in the past have made working with stone much easier thanks to the invention of concrete – “liquid stone” if you will! But even with the invention of concrete our troubles weren’t over, for concrete is a composite material (a cement matrix with aggregates to make it stronger and more durable) that works excellent in compression, but not tension. The next step in this evolutionary process? Casting the wet concrete around strong, steel reinforcing bars to up the strength factor. 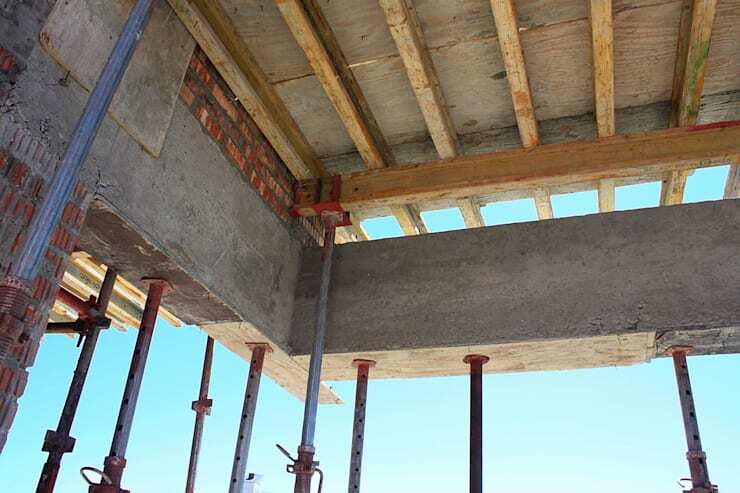 As the concrete sets and hardens around the bars, it creates a new composite material: reinforced concrete (also known as ‘reinforced cement concrete’ or RCC) that works a treat in either tension or compression. Let’s delve a bit deeper into this wondrous invention that helped to revolutionise the building industry in the 19th century and turned concrete into one of the most popular building materials. 1. What is reinforced concrete? With the addition of embedded steel, ordinary concrete becomes reinforced concrete so that the two materials act together as a resisting force. The rods, bars or mesh used as the reinforced steel help to absorb the tensile, shear and compressive stresses in a concrete structure. Reinforced concrete can be precast or cast-in-pace concrete. It is used in various applications including beam, column, slab, wall, foundations and also frame construction. The reinforcement is usually placed in areas that are most likely to be subjected to tension, like beams’ lower portions. Generally, a minimum of 50 mm cover is above and below the steel reinforcement to help resisting spalling and corrosion. Concrete has been around for hundreds of years – it was used since the ancient Roman times – but the use of reinforcement was only introduced in the 1850s by French industrialist François Coignet. And it was only during the 1880s that steel was used as reinforcement by the German civil engineer G. A. Wayss. •	Reinforced concrete boasts a much higher compressive strength than other building materials. It provides a more durable building system than any other type. 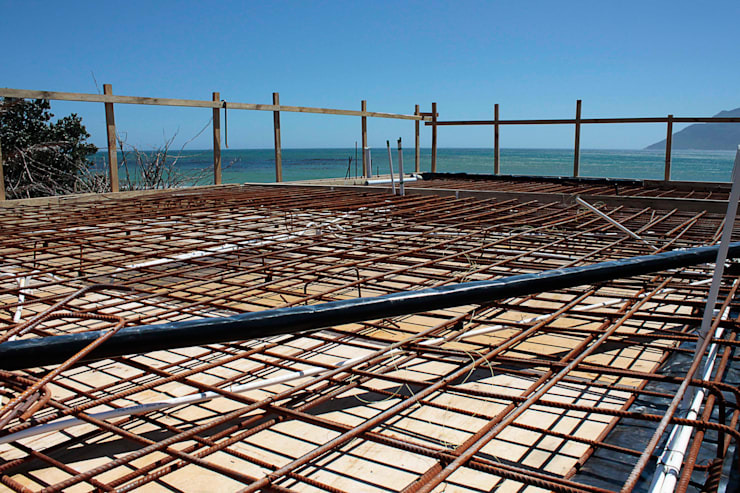 •	Thanks to the added reinforcement, reinforced concrete can also withstand a good amount of tensile stress. 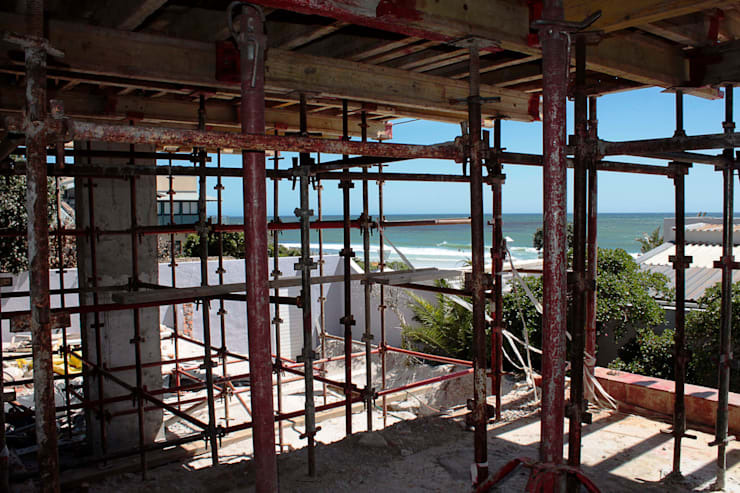 •	Reinforced concrete also provides a fair amount of resistance against fire and weather. •	As a fluid material (in the beginning stages), reinforced concrete can be economically moulded into just about any form or shape. •	Its maintenance cost is comparatively low. •	With structures like footings, dams and piers, reinforced concrete is the most economical construction option. •	Compared to the use of steel in erecting structures, reinforced concrete requires less skilled labour. •	Reinforced concrete’s tensile strength is about one-tenth of its compressive strength. •	The main steps of using reinforced concrete are mixing, casting and curing – all of which affect the structure’s final strength. •	Casting forms’ costs are relatively higher. •	Shrinkage leads to cracking and loss of strength. Searching for a construction company that knows their thing when it comes to reinforced concrete? 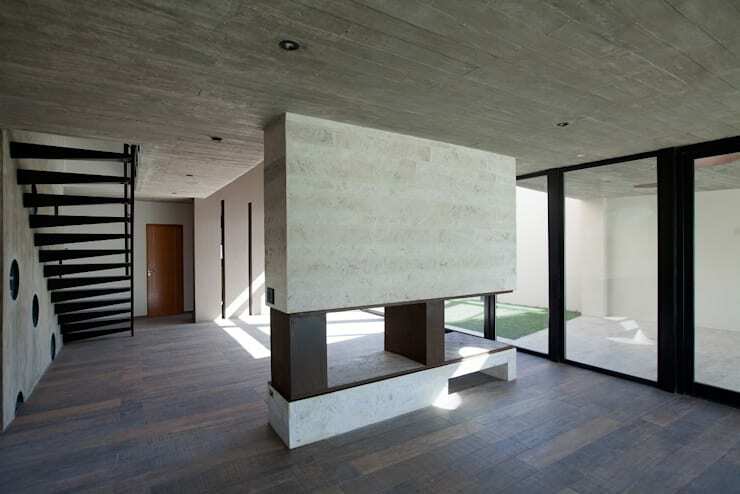 Beton Haus in Cape Town specialises in structural concrete and home renovations. A quick look at their portfolio will provide an impressive range of projects completed to customer satisfaction over more than 40 years. In addition to home renovations, the firm is also skilled at handling painting, flooring, plastering, cupboard design, plumbing, electrical structural changes, steel fixing, swimming pools, retaining walls, etc. From one building material to another, let’s take a look at Building with Straw: 6 Exotic and Cheap Ideas!